Most Economical Choice! 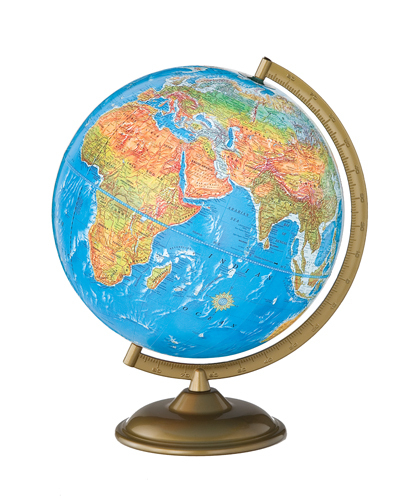 The 12 inch Physical Political Globe in a Semi Meridian stretches your schools dollar farther than any other globe. This 12 inch Physical Political Globe shows both physical (natural) and political (man-made) features, plus land contours under the oceans. Five land elevations and two water depths shown. Mounted in metal swing meridian for unrestricted view. Raised relief.